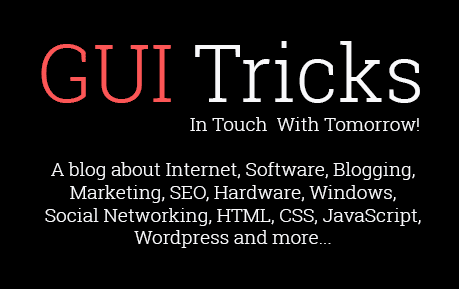 Top 6 Ways to Get More Comments On Your Blog | GUI Tricks - In Touch With Tomorrow! Top 6 Ways to Get More Comments On Your Blog - GUI Tricks - In Touch With Tomorrow! A first time visitor will in all probability never comment on the blog. As a result, the best thing which can be done at this point in time is to convince him/her to subscribe to newsletters. It will help you to build community around your blog. Bloggers should never wait for others to comment on their blogs first. They should start commenting on other blogs as it will break the ice amongst the members of the blogging community. The earlier you start with the same, the better it is going to be for you. Promotion has its own importance which can’t be neglected as it directly helps others know about your blog. What a better way to promote your blog these days than social media sites, as Facebook and Twitter have offered the best platform to promote. Isn't it? There isn’t a better way to maintain the interest of readers than interacting with them. So, try to interact with them by way of responding to the comments. This will make them feel loved and they will respond all the more as well. Needless to say, that it is another one of the top 6 ways to get more comments on your blog. These days no matter in whatever field you are in, you have far greater chance to succeed, if you have well cemented relations. Therefore, strengthen relations with your fellow bloggers, since the more you will cement relations, the better it will be for you as others will show love and care for you and you will also reciprocate the gesture as well. A blog which has lots of questions turn out to be quite innovative and interesting as it directly enhances the charisma of visitors. Therefore, make no mistake of involving lots of questions in the blog, in order to make it extremely interesting. Isn’t it great? Hence, this is how you are able to get more comments on your blog. All you should do is to strictly follow on the above tips, in order to see the pleasant difference yourself. These are the tips which will act as a sure cut way of getting more comments on your blog. Therefore, don’t overlook them especially as you are looking to become a popular blogger. This is a guest post written by Kuldeep, He writes about Android Tips, Android News, Android Tutorials, rooting Guides such as Root Kindle Fire HD 8.9 on his blog DroidCular. Nice tips here!! I agree interaction is very crucial to get more comments!